Little bee fresh: Say goodbye to plastic wrap! “It always seems impossible until it is done.” – Nelson Mandela. Inspired by this quote, we decided to start introducing you to startups in the circular economy which have shown the courage to disrupt business as usual. We look forward to presenting you innovative and sustainable products, technologies and services on a regular basis. Contact us now if you want to be featured, too! A common situation, one that seems inevitable from time to time: You run out of clean lunch boxes and thus, in a hurry, pack your food into plastic wrap. Many of us know: this is no viable option – yet we do it anyway. Something we should consider next time before falling back into old patterns: plastic wrap is made of Polyethylene (PE), a synthetic material free of problematic plasticiser (unlike PVC foil which is still partially used in supermarkets for cheese and the like). The devil is in the detail, though: Due to Ethylene being the raw material of plastic wrap, it contains petroleum – neither tasty nor environmentally friendly considering the 5 to 13 million tonnes of plastic that, year for year, leak into the environment, the seas and oceans. 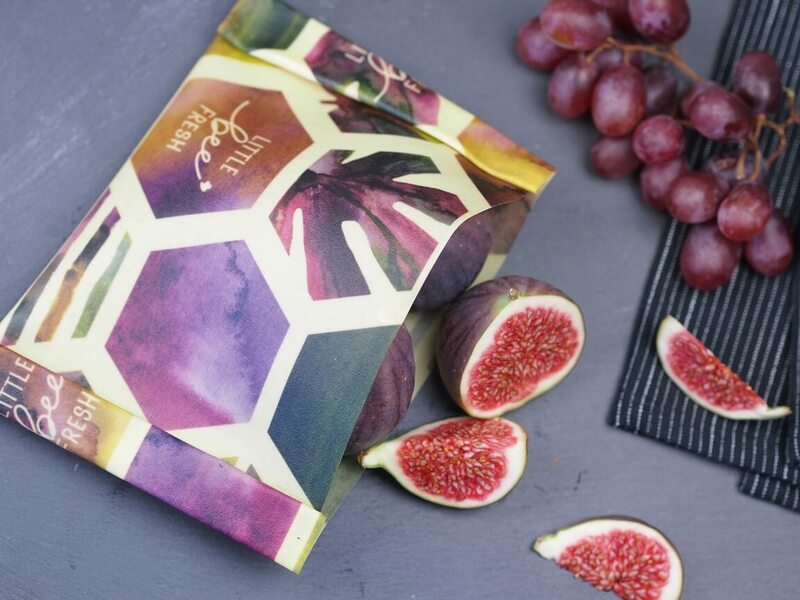 The German startup Little bee fresh offers a reusable and sustainable alternative: beeswax wraps which come in different sizes and colorful designs. Thanks to hand warmth, the wraps can easily be formed and afterwards stick perfectly to a smooth surface. And there is more: thanks to the antibacterial properties of bee wax food such as cheese or bread stays fresh for a longer time. You want to form your own opinion? Check out Little bee fresh’s online shop.